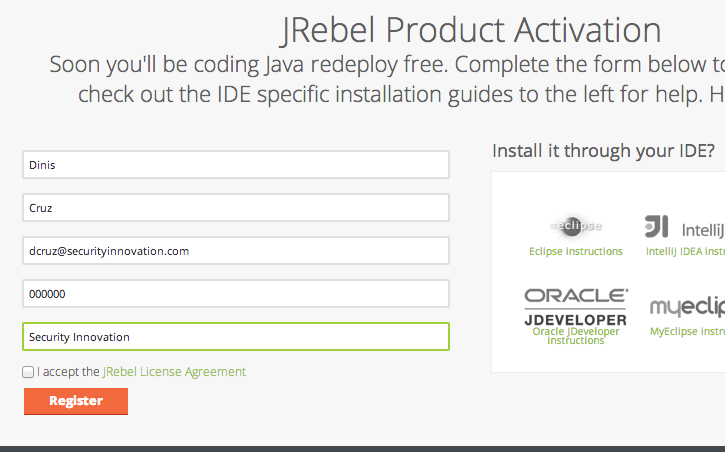 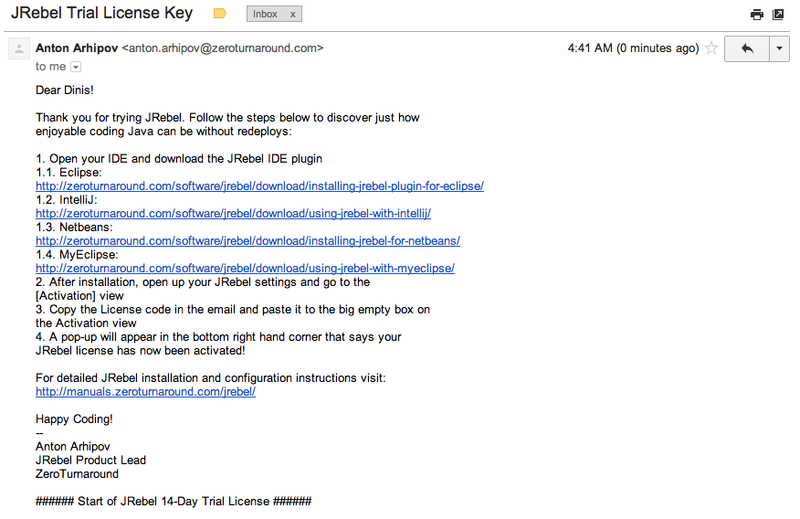 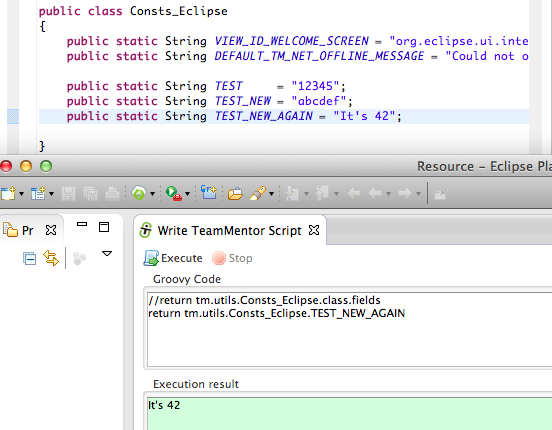 With JRebel enabled in the spawned Eclipse instance (the one that loads the TeamMentor Plugin from class files and not a jar), I opened the Write TeamMentor Script UI and wrote a simple groovy script that showed the contents of a static String from the tm.utils.Consts_Eclipse class. 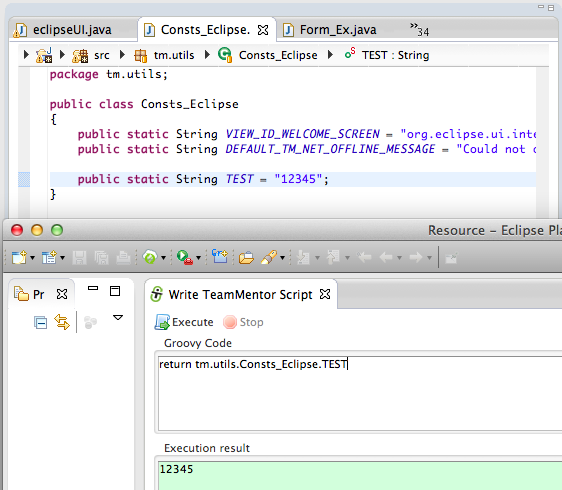 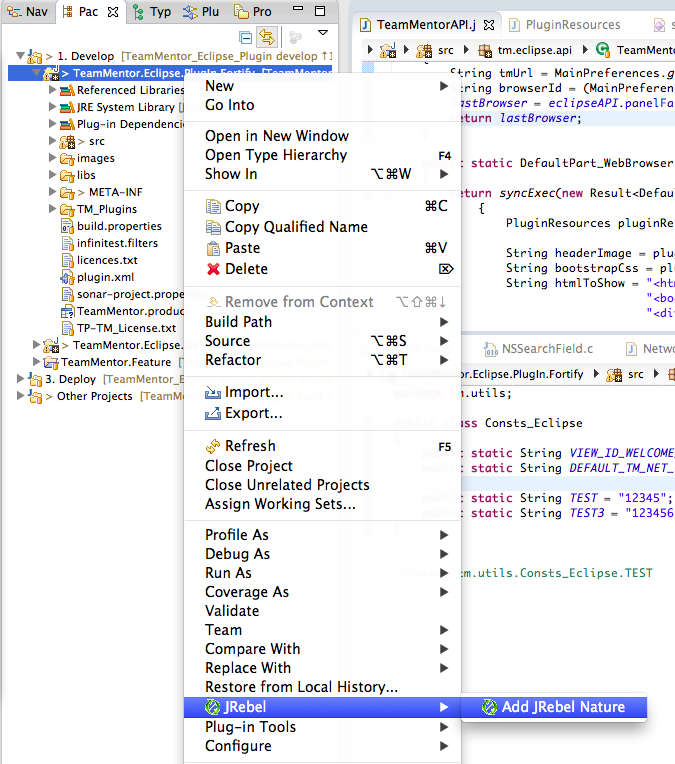 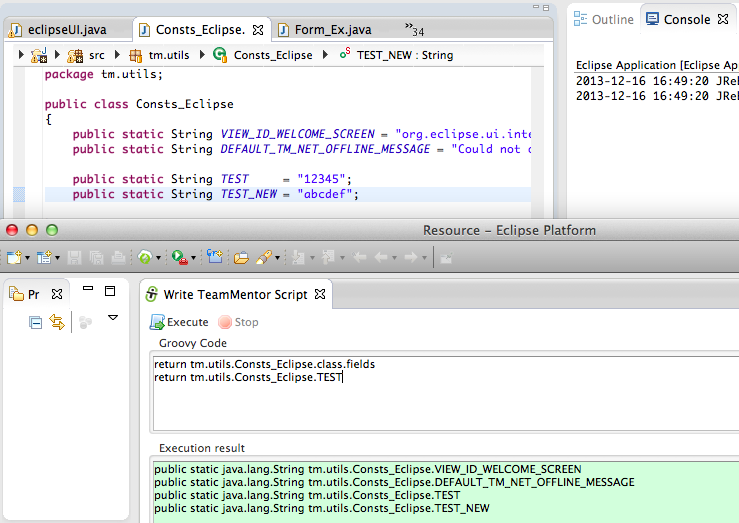 In the screenshot below, the top part (with the java code files) belongs to the host eclipse instance, and the bottom part is the TeamMentor Groovy based Script editor running on the spawned Eclipse instance. 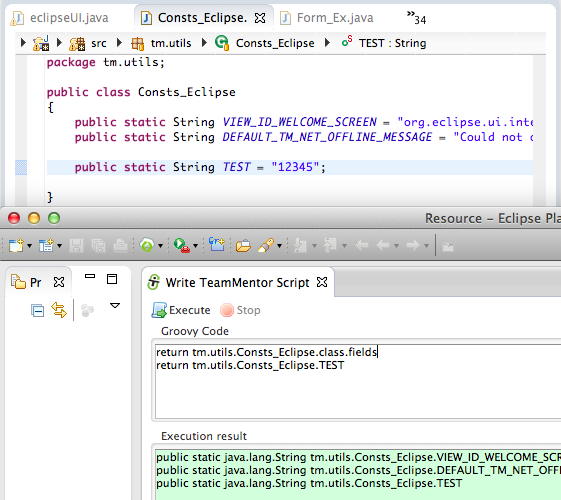 The first test I want to do (which is the one that doesn't work with the current JVM HotSwap) is to add a new static field to that Consts_Eclipse class, and have access to it, without needing to restart Eclipse! 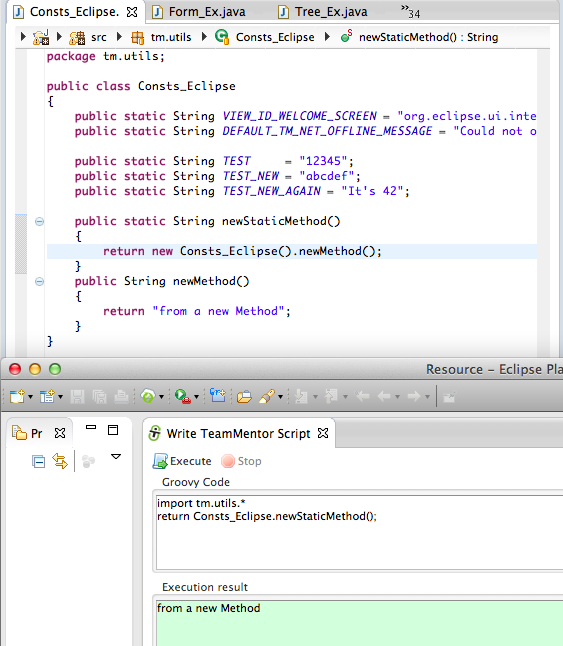 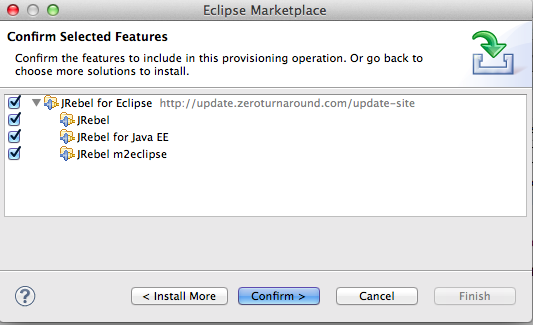 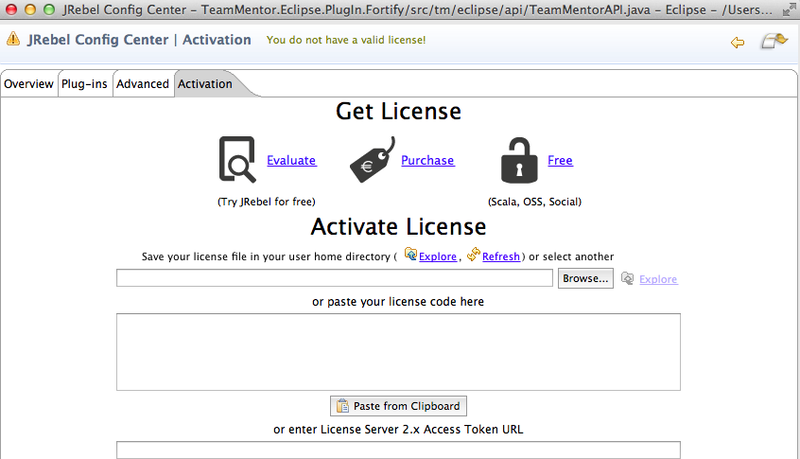 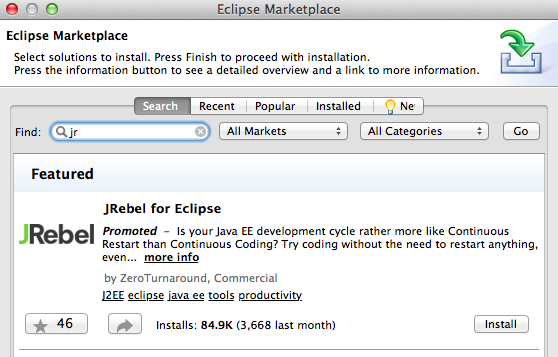 This is REALLY powerful, since I can now work on the Eclipse core APIs (consumed by the TeamMentor plug-in) without needing to restart Eclipse.